Once a Design Plan is chosen and Site Assessment has been done, GVD Plan Hub can provide you with a Building Approval Package. 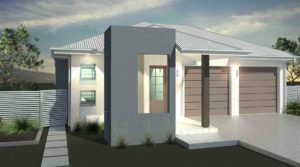 This is a complete package consisting of Working Drawings, Structural Design Plans and the necessary documentation for you to obtain Building Approval (B.A.) 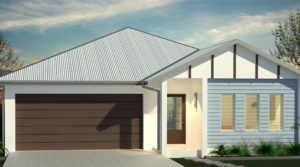 The documents will be used by you or your chosen builder to provide the building quote, obtain building approval and then building your new home. Site Plan – Building location, Site Services & Building Set out. Floor Plan – Dimensioned & notes with relevant information. Elevations – Dimensioned & notes with relevant information. Slab Plan. – Dimensioned & notes with relevant information. Construction Details – Relevant floor, wall & roof building details. Electrical Plan – Standard electrical layout. A Soil Test will be done & Site Classification Report issued by a Geotechnical Engineer. This report is used by a Structural Engineer to design and certify the footings and slabs for your home. This is required for B.A. Please Note: Soil Testing outside of Townsville Urban Area i.e. Magnetic Island will incur additional fees. GVD PLAN HUB will inform you of these costs before proceeding. 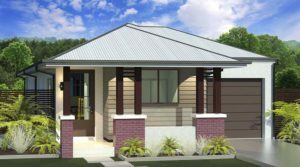 In Qld Structural Designs require a Form 15 (Compliance Certificate for Building Design or Specification) signed by RPEQ providing evidence of the structural integrity for your proposed dwelling. Wall and Roof frame details. When required. To obtain a plumbing approval for your new home a drainage plan is required showing the connection of all the waste points (sinks, tubs, baths, toilets, showers) in the home to a sewer connection joint. It is the client’s responsibility to obtain Covenant Approval prior to Building Approval and construction. This is generally a requirement of the land purchase. The land owner will need to supply the information as indicated in their Covenant documents to the responsible authority for approval. Once covenant approval has been received and before any construction begins, you as owner builder or your chosen builder will need to engage a Building Certifier to obtain a Building Approval. Building work can start once the Building Certifier has issued the commencement notice. 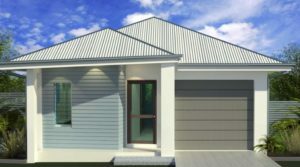 It is the client’s responsibility to comply with all requirements of the Building Approval. It is Client’s and/or Builder’s responsibility to organise the required permits and inspections from local governmental agencies and to assure that all work is in accordance with the latest edition of all applicable Construction Standards. You can now provide your complete package to builders for a price to complete the build! GVD PLAN HUB makes it easy!